Remarkable leaders understand that how they design and lead meetings determines how well their group functions. Meetings serve a critical function in the workplace. The meeting's job is to lead a group from wherever they are individually to a new place where they can have a shared perspective. We call this convergence; the merging of distinct perspectives into a unified whole. Teams that fail to converge around a shared perspective don't work. They hold different visions of what they should be doing. They work at cross-purposes. Decisions aren't clear, projects meander, and progress comes slowly or not at all. It is the job of the meeting to give everyone a shared perspective on their work, and the job of the leader to make sure meetings succeed. 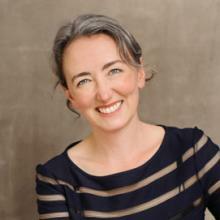 If you pay close attention, you’ll notice that all well-designed meetings start with an opening meant to transition people from whatever they were doing before into the group work of the meeting. Welcome, introductions, segue, confirm the agenda, review the minutes: each of these activities is meant to connect the group to each other and to the work at hand. The opening invites people to come into the conversation together. A strong closing is the other feature all well-designed meetings share. Review and next steps, acknowledgements, or a moment to reflect. In every case, the leader makes sure everyone is clear on what the group learned, decided, and agreed to. At the close of a meeting, the leader ensures that everyone made it to their final destination and that they all now have the shared perspective they need to take on whatever comes next. that’s the basic framework for a functional meeting. A meeting doesn’t have to have an agenda to include these elements. Many people intuitively begin with small talk or some other warm up at the start of the meeting. Others automatically re-cap decisions and actions at the end of a meeting, regardless of whether there’s an agenda item prescribing it. When the opening or the closing don’t happen, however, the meeting very often fails. Decisions get unmade, people assume someone else was taking the next step, and progress stalls. The structure of a meeting matters. The structure matters not because we need predictability, or because people have some kind of Pavlovian response to a recap of action items that automatically turns them into productive superstars. The structure matters because it provides an effective, proven way to establish and evolve the relationships between a group of people. And really, it’s the relationships that matter most. Everything we’ve learned about teams that excel reinforces the importance of strong relationships. Google’s widely publicized study found that the highest performing teams weren’t necessarily full of the smartest or most talented individuals. Instead, the best performing teams trusted each other and enjoyed working together. They knew how to unify their perspective and apply the full wisdom of the group to each problem, so they could outperform other teams. Our work, our relationships, and our lives succeed or fail one conversation at a time. While no single conversation is guaranteed to transform a company, a relationship, or a life, any single conversation can. Speak and listen as if this is the most important conversation you will ever have with this person. It could be. Participate as if it matters. It does. Paul Axtell, author of Meetings Matter: 8 Powerful Strategies for Remarkable Conversations includes many quotes like this in his work. His award winning book is ostensibly about leading effective meetings. If you look a bit closer, though, you’ll quickly see that Paul’s work is actually about the conversations that create strong relationships between working teams. It just turns out that the main way we have important group conversations in the workplace is in meetings. Let’s tie this back to structure. A meeting opening is a critical conversation, and not simply because it’s polite or because your teammates need to be coddled. Effective leaders understand that the opening matters because for the meeting to work, you must get everyone from where they were before the meeting into the discussion with you. You can’t do that if you don’t know where they’re coming from or give them time to make that journey on their own. Sometimes when we meet, the journey is even harder. Sometimes we have no pre-existing relationship with the other people in the room. When we’re new to the group, we don’t yet have their trust, and because we don’t have this relationship yet, they have no reason to follow us on our journey. We must create the relationship by having a respectful and engaging conversation, establishing the connection that makes teamwork possible. We cannot tell people to trust us or follow us just because we’re great. We may actually be truly magnificent, but for someone coming from a really distant perspective, that’s irrelevant. We have to have the conversation that tells us where people are, and what’s what, before we can begin to bring them to where we need to be together. Sometimes, you have to go to them before they can come to you. The key to remarkable leadership is mastering the conversations that create strong relationships and converge groups around a shared perspective. 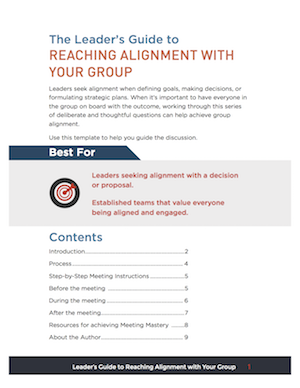 Over the past several months, we worked with Paul Axtell to develop a series of meeting templates that guide leaders through some of the most important conversations you can have with your group. Rooted in a deep belief in the primacy of strong relationships, each template walks you through how to prepare and lead a masterful conversation with your team. For more, Paul’s book will give you deeper context and perspective. Practice will lead to proficiency and confidence. Designed by Paul Axtell, this set includes the guides and draft agendas for 5 key conversational processes for supervisors and managers who strive to be remarkable leaders. Establishing a relationship with your new group or team is simple, common sense, and straight forward - and something most leaders neglect. 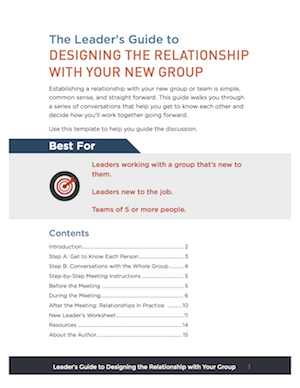 This guide walks you through a series of conversations that help you get to know each other and decide how you’ll work together as a team going forward. See more about this template. The value of one-on-one sessions is that they can truly be a back- and-forth, give-and-take discussion that leads to transparency, clarity, and progress. The best one-on-one meetings are led by the employee rather than the manager. 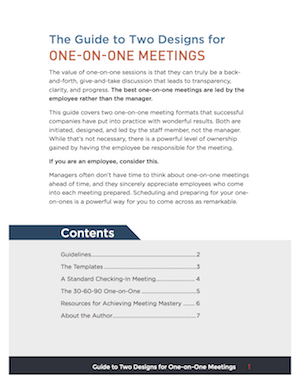 This guide covers two one-on-one meeting formats that successful companies have put into practice with wonderful results. Both are initiated, designed, and led by the staff member, not the manager. While that’s not necessary, there is a powerful level of ownership gained by having the employee be responsible for the meeting. See more about these templates. Leaders seek alignment when defining goals, making decisions, or formulating strategic plans. When it’s important to have everyone in the group on board with the outcome, working through this series of deliberate and thoughtful questions can help achieve group alignment. See more about this template. This meeting format creates a way for someone facing a challenging situation or working to develop a new idea to gain new perspective and learn from colleagues. See more about this template. Surfacing and working through questions and complaints is part of having a great organization or relationship. 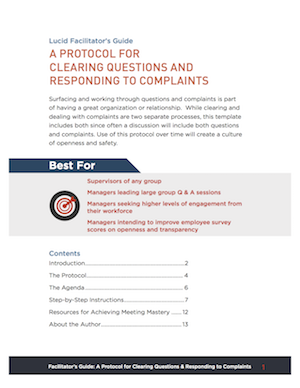 While clearing and dealing with complaints are two separate processes, this template includes both since often a discussion will include both questions and complaints. Use of this protocol over time will create a culture of openness and safety. See more about this template. The path towards remarkable leadership starts with a shift in perspective. 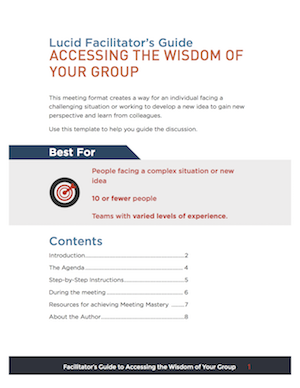 The meeting designs in this 5-meeting set can help you shape the conversations around you in ways that bring this shift in perspective to your whole group.